Avery Elle: Hip Hip Hooray & Thank You! Heather and Ashley have two terrific projects for us today. 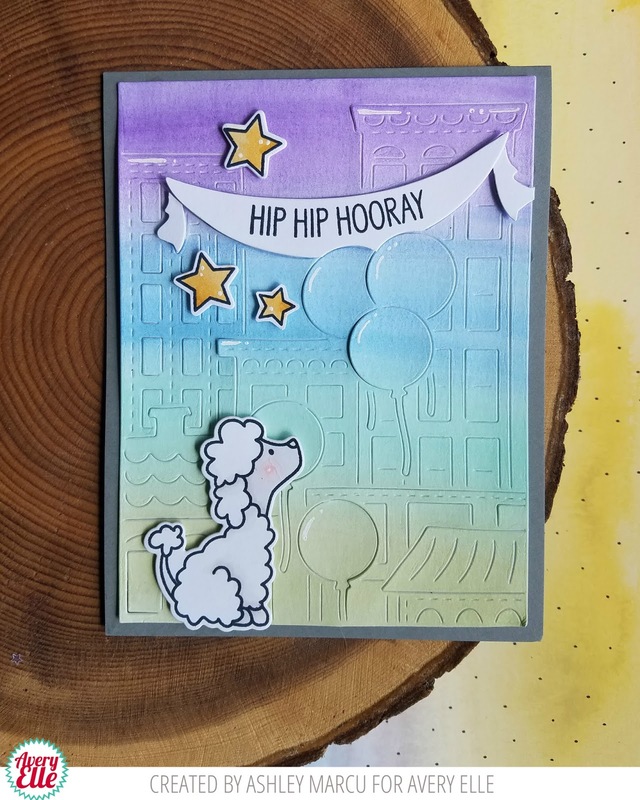 This first card by Ashley is so fun. I love how the dog and bright stars pop off of the pretty background. 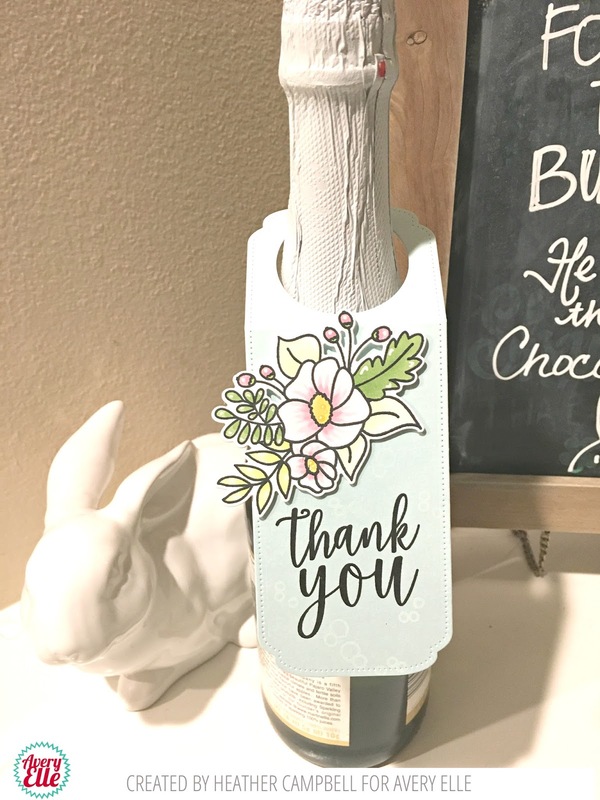 Heather created this next wine tag. I love how simple yet pretty this looks. This tag would be easy to whip up ahead of time to have on hand to give out when a quick thank you is in order.